Morgan Northrup was in the army and has served two tours, one as active duty and one as a civilian contractor in the Middle East. He’s also spent several years as a police officer in Tennessee. When he was suffering from depression and anxiety, as a result of his army and police careers, his dad stepped in and bought him a plane ticket to Colorado. There he attended a dual sport motorcycle retreat for veterans dealing with PTSD (post traumatic stress disorder). The experience left him feeling that he now had a new purpose in life, to help other veterans going through the same sort of trauma. Morgan’s trip with the retreat changed his life and he is launching a non profit outdoor adventure organization called Veterans Back 40 Adventure. Starting this year, Morgan’s organization will be taking veterans out on adventure bikes throughout the Northwest back country. Chet Mainwaring is a PSSOR riding instructor, who’s involved in helping get Morgan’s venture off the ground. 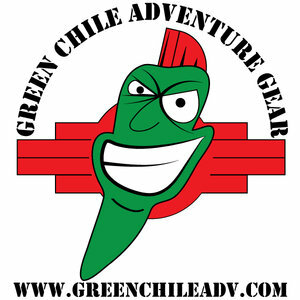 Support the show sponsors that help bring ADVENTURE RIDER RADIO to you. More information about contacting our sponsors can be found here. Posted on January 12, 2017 by Elizabeth Martin and filed under Adventure, Charity, Motorcycle, Tech Tips and tagged Veterans Back 40 Adventure Morgan Northrup Chet Mainwaring PSSOR Veteran Handlebar risers Handlebar risers rox rox pivoting ptsd dual sport motorcycle adventure outdoor chris olin rox speed fx maxbmw bestrest green chile adventure gear tour usa ims products obsessive cycle disorder jim martin podcast motorcycle podcast 2017-a rider arr adventure rider radio moto motorbike.